As long as I can remember, I’ve wanted to write a novel. I envisioned myself attending cocktail parties in a tweed sport coat with leather patches on the elbows, discussing my bestseller with groups of admiring readers. Well, I’ve self-published five novels, and the closest I’ve come to this daydream was at a book fair where I was mistaken for a popular local writer. I guess my sport coat threw them off. I’m still chasing the novelist’s dream, but I’ve discovered a fast-paced, bite-sized writing experience that’s equally rewarding – short stories. Popularized by Reader’s Digest magazine in the 1920’s, short stories are comfortably read in one sitting, usually 1,000 to 5,000 words. I’d always thought “real writers” wrote novels, but I was living in a fool’s world. Several famous authors have come by way of the short story: Hemingway, Fitzgerald, Bradbury and King (as in Stephen), to name just a few. • Short stories provide immediate gratification. My novels average 80,000 words each, taking 10 to 18 months to write. I can kick out a 3,000-word story in a week or less, including editing. It gives me the chance to explore a range of subjects in a brief period of time. And if one of them falls short, well, I toss it and move on to another. • You learn to be concise. You can’t waste words when you need to set scenes, develop a plot(s), and build characters in less than 5,000 words. You also can’t afford more than a few compelling characters. It’s a good exercise for all writers – novelists and short story writers alike. • There are tons of writing competitions to benchmark your skills and receive critical feedback. Weekly, monthly, and annual short story contests are a Google search away, the cost to enter is usually low, and prizes range from gift certificates to publishing offers. Writer’s Digest magazine is one of the best and long-standing sources of information and competition for short story writers, and a contest I enter annually. • They’re a good change of pace. I write most of my short stories between novels. They are a refreshing change to the long, detailed process of crafting a full-length book. Completing two or three short stories is better than taking a long hiatus away from novels. I return renewed, with a feeling of accomplishment and maybe some new ideas. • Short stories are popular. While it’s true that magazine publishers have diminished in recent years, there remain several venues for short stories: literary magazines, online literary journals, consumer magazines, and short story collections. This isn’t to say that finding a publisher for a short story is any easier than for a novel, but at least there are many avenues to explore. • Short stories are a perfect fit for readers on the go. They’re easily read on a commute to work, while jogging on a treadmill, or over a quick lunch at a coffee shop. There’s no need for bookmarks – one sitting and you’re done. • Posting short stories to your website is a great way to add variety and interest. Inviting guest authors to post their stories increases website content and hopefully brings their followers along. Over the past several years, I’ve written more than 30 short stories and gathered my better tales into two collections: IT GOES ON and MOST MEN. I’ll continue to write stories for the reasons mentioned above, but I haven’t given up on my novelist’s dream. I keep my tweed jacket cleaned, pressed, and hanging in the closet—just in case. It’s been a long time since I’ve written a short story, but I loved to write them because I enjoy starting the action right away and not diddle-dallying. They really do help writers to hone skills. I agree whole-heartedly. I know some writers prefer to write novels, I may even be one of them, but I also can’t deny how many financially successful writers have cited the importance of short story writing. 1. There are many things that you can learn by writing a complete story, whether it’s 2,000 words or 200,000 words. And, if you can’t hold someone’s interest for 2,000 words (comparable to a chapter in a novel), how can you do it for longer? 2. Whether it’s an agent/publisher, or a potential reader, the longer the story, the greater the investment. Many are more willing to roll the dice on a short story, knowing that the payoff will come that much sooner. Once a new author has proven themselves through a few short stories, people are more likely to trust that they won’t disappoint when writing a novel. 3. If you write one novel, no matter how great it is, it’s still only one story. In many ways, several short stories show a wider sample of your skills through the variety of the stories. I think in some ways, it’s good to dabble and experiment, in genre, and in length. And it’s a lot easier to dabble via short stories than novels. Agree with your three points, especially #3. I love the variety. Thanks for stopping by, Raimey. Sorry, but I don’t have an author FB page. I used to have a page and built it up to 1,200+ likes, but when FB went to charging for having posts viewed, I deleted my account. I focus on Google+, twitter, goodreads, and my website. And of course linking up with other authors on events like this. Thanks for the time you dedicate to the bloghop. I’m a co-moderator on a goodreads 1,000+ author review exchange, and I can appreciate your effort. I love writing short stories. I got published in two anthologies last year because of short stories 🙂 They are awesome for trying out new ideas and to build your back-list on Goodreads for fans to find and on several retailers where you can have an author page. Seems like flash fiction has taken off. I haven’t tried it yet, but will. Most of my shorts are 3,000-6,000 words. Great post! Short stories are great, for all the reasons you list. I used to think that I would only be a short story writer because they’re easier to power through and edit in a short amount of time. I used to think that short stories were just a step in the path to becoming a novelist, but short stories are an art in themselves, and not just a tool to get better at novel writing. 🙂 Thank you for sharing! Excellent post with great reasons to write short stories! I’ve been writing a lot more flash fiction this year, due mostly to #52weeks52stories. I will definitely check out one or both of your collections. I would love to learn how to put one together. I love a well-crafted short story! It’s truly a work of art. I’m not good at writing short stories myself, so I’m in awe of authors who can tell a whole story that all connects just perfectly and resonates from beginning to end, in such a brief format. I imagine it takes a lot of practice! It’s funny how I never contemplated much on writing short stories growing up, dabbling in them only for school assignments or random paid works. I began intensively writing short stories last year when I was blogging daily in response to the WP Word Prompt and decided to keep at it to improve my editing skills [my dream skill as an author – writing with economy]. But the reasons you have provided for the cause are irrefutable. Sold! All very good points! I love the ability to zoom off in many different directions with short stories, although I haven’t had any success getting them accepted by the different websites that publish them yet. Still, they’re fun for me and good practice, as you say. I’m a short story writer, too. Except I write YA adventure shorts–which are 1800 words or less. You are right. Short stories need to be about one or two characters to have the wordspace to get into the internal conflict that the story’s about. I keep my YA short stories in one time frame, one location. Since they are adventure, much physically happens to my characters and they grow from the result. This is my first time here. I’ll follow your blog and connect with you online. I’m looking forward to reading your short story. Thanks for offering it. Victoria, I’m new at the AuthorToolBox, as well. As near as I can tell, I’m the only grandfather. 🙂 Thanks for stopping by. I’d be interested in your feedback on my short stories. I pick a new one each month to post. The one posted now is a kind of a “Cats in Cradle” story, a little somber. I’ll definitely stop by your site, too. Hi Donn. 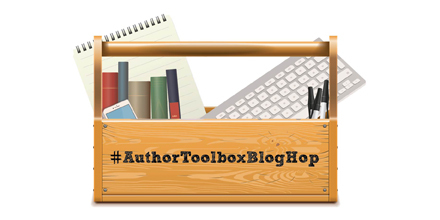 Welcome to the Author Toolbox Blog Hop. This year one of my goals is taking a crack at short stories for a number of the reasons you listed. As someone who tends to natural complicate things, I want to use short story as a way to streamline my storytelling. Your post is inspiring me to sit down and get started. Thanks! Thanks. I’ve been impressed with all the useful information. Look forward to the coming blog hops. I’m desperately trying to figure out how to write short stories, for basically the reasons you listed. I’ve got huge admiration for people who can contain a beginning, middle and end all in 3000 words! In all fairness, I do better with 5,000, but many of the short story contests are 3K. I’ve had two short stories published, and I have to say they were harder to write than any of my novels. Maybe not as time consuming, but certainly demanded more brain power. There is something about writing a full length novel that intrigues me. Don’t know why. Shorts are where I started. I practiced my craft, learned new skills and will always have a warm spot for them. Sigh… I suppose I could continue to write a short story for my blog each month, but having the motivation with other writers sure helped! Your short story group sounded like fun. I steal a story from my collections each month and post to my website. I average five our six new stories each year and really enjoy them. Thanks for stopping by. Great idea! Kristine Kathryn Rusch posts a new short story to her website every Monday, and they’re only up for a week. That’s clever because she can recycle the storeis if she ever needs to. Great post! I have a few short story ideas I’m planning to post on my blog. It is a great exercise for writers. Thanks for sharing! Short stories are a great way to hone your skills. Every word counts, and everything needs to be concise. I love a good, long novel, but short stories are the perfect filler between all those epic sagas, or when I know my pleasure reading time is at a premium and I still want a full story.